Born in Norway in 1943. Kine Aune lives in the mountains in the old mine town Røros. Educated in Film and Theatre science, she first had a studio for weaving and textile design in Røros. From 1975, she runs her own studio/production company KINEFILM, making animated and documentary films, information’s films, commercial films for TV, cinema, library and digital distribution. She produces theatre plays as well. Kine has been the leader in projects for education in art and film in the North of Norway (Kabelvåg/Lofoten Island, and Tromsø). For many years she has also been the leader of different projects in cultural, theatre and film/animation workshops for and with youth from 4 to 14 year. KINEFILM has been participating in many national and international film festivals. In the recent years, some of her films have participated in International Poetry festivals as well. 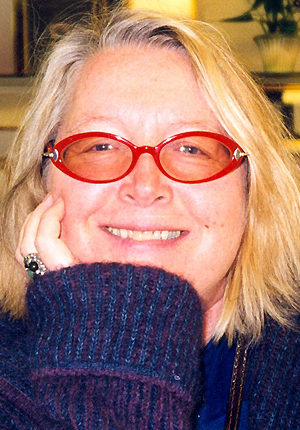 Kine has received various awards and diplomas at many international animation festivals for her films and for her work. In Norway, at the Nordic Animation Festival in Fredrikstad, Kine has received an award for her contribution to animation field for many years. Also, she has received an award for her work from the Culture Department in the region she lives in; Sørtrøndelag, Norway. She has been serving as a Board Member in many official committees. Ferran Gallart was born in Manresa, Catalonia, Spain, in 1946. Between 1958 and1962, he obtained his Bachelor Degree and studied at the School of Drawing and Painting in Manresa. In 1963, he enters the School of Animated Drawing in Barcelona. From 1964 to 1975, he collaborated with the studios LIECHTI, Geneva, as animator and scriptwriter. He directed, then, more than 300 spots and commercials for cinema and television. In1970, he attended a Training Course in several Hollywood studios. In 1973, he directed the film “Quando la Paix joue avec les Hommes”, which was awarded the prize for the Best Short Film at Soleure, and the First Prize at the Quickfilm Festival, Lausanne, in 1985. Between 1975 and1981, he collaborated with several European studios in Paris, Madrid, Barcelona, Lausanne, Vienna and in the films “The Flintstones＂，“Scoobydoo”，＂La Ballade des Daltons" and “Le Baron de Munchausen”． He has been collaborating with the Television Suisse Romande since 1981. Here, he directed a large number of title sequences and animated films：“Agora”，"A comme Animation”, “Dodu Dodo”，”Imedias”，“Planquez Les Nounours”, “Images Magies”，＂Bus & Co’ etc. He created the character Dodu Dodo (1984) as well as published a comics book ”Dodu Dodo Gagas a Goga”(1985), and he was the author of the animation series ”Dodu Dodo la Chasse au Tresor”(1986). Ferran Gallart was awarded the Prize ”Forgerons du Reve" at the Books' Exhibition in Geneva; he was also awarded the First Prize of the Jury at the International Festival “Morges-sous-rire" for the best drawing for the Press (1990). 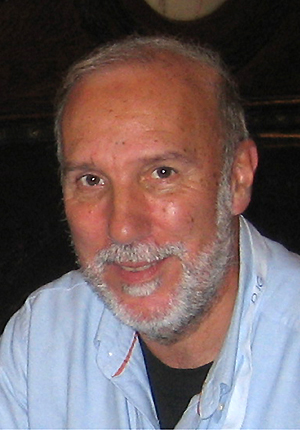 In 1991, he directed the series ”C'Est Les Rats" and ”Floc- Le Petit Flocon”，24 episodes, in collaboration with RTBF (1992-1993). In 2000 and 2001, he published the comic albums "Zap Les Gaffes”and “Les Zap... quand ils nous la jouent quelle histoire”.He participated in the animation workshops of the Allevard and Lausanne festivals. He published some comic books for the Edition Pearson， Madrid.He directed the title sequences “Animaniak”，“ABC”, and “Agendas ” for the Television Suisse Romande. He has been a member of the jury in the festivals: “Cinanima” and "Monstra”, and since 1965, he has regularly participated in the festivals of Annecy, Zagreb, Soleure, Lausanne, Geneva, Espinho, Teplice, Hiroshima, Lisbon etc. 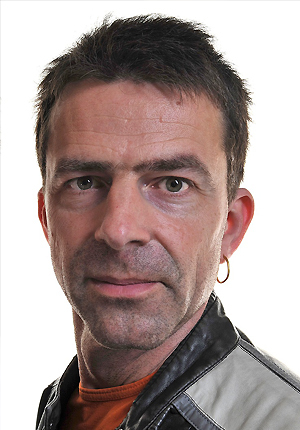 1967 Born in Eindhoven, the Netherlands. 1986-1991 Study first degree in sculpture/teaching, Art Academy, Tilburg, Netherlands. 1991-1992 Graduate studies in photography/film, Cranbrook Academy of Art, Bloomfield Hills, MI, USA. Cristina Lima was born in Mozambique, in 1966. In 1974, at the age of eight, she went to Portugal, where she has lived ever since. Degree in Modern Language and Literature: English and German from the University of Porto. Post graduation in Translation. Immediately after having finished her studies, in 1989, Cristina begins working at CINANIMA - International Animated Film Festival of Espinho. As organizing member of the Festival, she is one of the responsible for the international contacts and networking, programming, catalogue production, guests' coordination, films' submission and also one of the representative of the festival in other international animation events/ festivals such as Cartoon Forum (Finland), Annecy (France), Kecskemét (Hungary), Meknés (Morocco), Zagreb (Croatia), Anima Brussels (Belgium). Member of the International Jury of KAFF - Kecskemét Animation Film Festival, Hungary and of Cartoon Club, Rimini (Italy) where she has also presented a programme of Portuguese animation. Member of the Jury of the Portuguese Institute of Cinema and Audiovisual (Ministry of Culture) for the Financial Support to the Production of Portuguese Animation Short Films. In 1985, just before graduating from Keio University in ethnology and archeology, Makiko Nagao joined Studio Lotus, the independent animation studio of Renzo and Sayoko Kinoshita. Since then, being attracted by animation shorts, she has been working on the production management, dissemination, program curation and screening, mainly for animation shorts, as the secretary to Sayoko Kinoshita. She has been working on the programming and production of numerous animation programs for film festivals, art museums, TV stations, etc., internationally. As for animation production management, Makiko has been involved with many Studio Lotus films, such as “Geba Geba Show Time” (1986), “Frame of Mind” (1988), “The Last Air Raid – Kumagaya” (1993, permanent screening at the Peace Museum of Saitama), “A Little Journey” (1994, granted the Japan Arts Fund), “Ryukyu Okoku – Made in Okinawa” (2004, granted the Japan Arts Fund), etc. 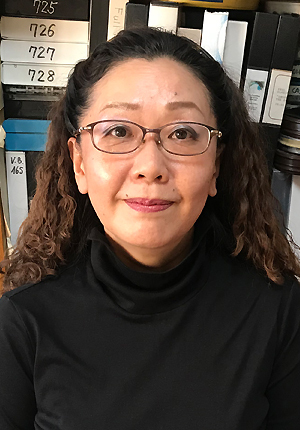 As one of her non-profit activities for the development of animation field, Makiko has been dedicated to the overall operation of the HIROSHIMA International Animation Festival since its first edition in 1985, as the secretary to the festival director. 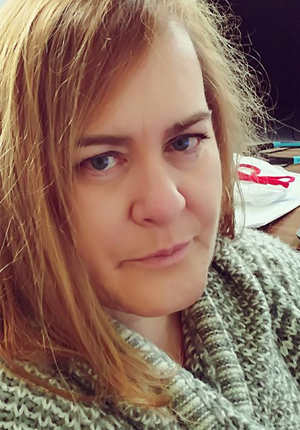 She has been serving as a Project Team member since 1990, mainly assisting in the planning and production of screening programs and exhibitions. Also, has been a member of the Organizing Committee since 2013. Together with her works and activities, she is also committed to theoretical research of animation within the framework of contemporary art, mainly studying the possibility of documentation in animation. Since 2014, she has been studying art representation under Professor Atsushi Sugita at the Graduate School of Joshibi University of Art and Design, receiving MFA in 2016 with her thesis “Animation’s Potential for Referring to Social/Historical Circumstances: Focusing on a Study of PICA-DON “. In the same year, she received the Joshibi Founders’ Commemorative Fellowship, and is now attending their PhD program. In 2017, a monograph “A Possibility of Documentation in Animation: Reviewing Studies on Animated Documentary“ (Bulletin of Joshibi Univ. No. 47), and also made a presentation at the international conference “Animation and Memory” held at Radboud University in Nijmegen, the Netherlands, “A Possibility of Documentation in Animation: A Comparative Study of an Animation Short PICA-DON and Artworks of Other Genres Referring to Social/Historical Issues”. In 2018, a monograph “A Potential Possibility of Animation Presenting a ‘General Description of an Event’: A Comparative Study of Animation and Other Representational Media“ (Bulletin of Joshibi Univ. No.48). Member of Japan Society of Animation Studies (JSAS), General Secretary of ASIFA-JAPAN.